Guido Ascoli was born in Livorno on 12 December 1887 and studied at the University of Pisa, where he earned his degree in 1907 with a thesis on the singularities of analytic functions, with Luigi Bianchi as his thesis adviser. After being awarded a Lavagna grant for a year of post-graduate studies in Pisa, he returned to Livorno for family reasons. His long career of teaching in high schools (the Italian scuole medie superiori) lasted from 1909 to 1932, with a three-year interruption (1916-1918) for the first world war. As frequently happened at the time, he taught in schools throughout Italy: Spoleto, Cagliari, Caserta, Florence, Parma, and finally Turin. During these years Ascoli was thoroughly absorbed with secondary education. In fact, in 1913 he published the book for secondary schools, Complementi di Geometria per gli Istituti Tecnici, and in 1924 a textbook of mathematical analysis for scientific high schools, Lezioni elementari di analisi matematica ad uso dei licei scientifici. After his arrival in Turin in 1920, contact with the lively mathematical milieu of that city acted as a powerful stimulus for Ascoli to go back to research, above all in the field of mathematical analysis. Between 1926 and 1930 he published about ten important scientific works regarding partial differential equations, which led, in 1930, to his being one of three winners of a competition for a university chair. 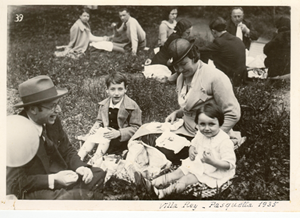 In 1932 he was called to Pisa to the chair of analysis, and in 1934 he transferred to the University of Milan, where he stayed from 1934-1938 and 1945-1948, with the long interruption due to the infamous anti-Jewish racial laws. 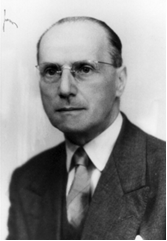 In autumn 1948 he arrived at the University of Turin with a chair in "Complementary Mathematics" (Matematiche complementari), mainly aimed at the preparation of mathematics teachers in secondary schools, where he was able to make use of his own long experience in secondary education as well as his profound knowledge of mathematics. At the same time he was assigned to teach courses in advanced analysis (from 1948/49 to 1950/51) and in the theory of functions (from 1951/52 to 1954/55). Guido Ascoli's scientific production was not prolific, and consists in 82 works, but they are of excellent quality and generally concern questions that are fundamental for mathematical analysis. There are also interesting contributions to geometry and to education. Two among the works in analysis are particularly significant: the 1929 essay regarding Laplace's equation in hyperbolic space, which provides significant results in the context of partial differential equations of "mixed" type studied in those years by F. Tricomi, and the 1935 monograph, in collaboration with P. Burgatti and G. Giraud, on partial differential equations of elliptic and parabolic type, which received an award from the Scuola Normale in Pisa and remained a point of reference for scholars for a very long time. Other important papers are dedicated to the examination of asymptotic behaviour, in a given domain, of ordinary or partial differential equations, research that was important for the advancement of physics, and in particular, for fluid dynamics. Also noteworthy are the works that concern the theory of abstract spaces (today called normed spaces), and the applications of this to linear functional analysis. One fruit of the lessons for the course of advanced analysis of 1950/1951 was the monograph Trasformazione di Laplace (1951), which explains the theory and the most interesting applications. Ascoli received numerous recognitions and honours. He received the Cross of war, was a corresponding member of the Accademia dei Lincei, a member of Turin's Accademia delle Scienze and of the Istituto Lombardo di Scienze e Lettere, president of the Turin section of the Mathesis (an association of mathematics teachers), a member of the Italian Commission for mathematics instruction, and treasurer of the International Commission on Mathematical Instruction for the 1952-1954 period. He died in Turin on 10 May 1957. "His great critical spirit was due to the character of his formation. If on the one hand it was always attentive to the latest progress in analysis, on the other hand it had its roots in the classic treatment of the great masters, and found nourishment in the history of mathematics, in logic, and in methodology, arriving at the great problems of science, that is, what are the place and value of mathematics in general, and of analysis in particular" (ZIN 1956-57, 14). Ascoli's attention to educational aspects of mathematics can be clearly seen in the scholastic manuals that he wrote. 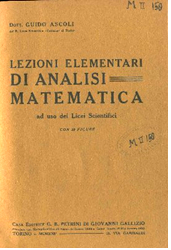 For example, in the textbook on mathematical analysis, Lezioni elementari di analisi matematica ad uso dei licei scientifici, written for the scientific secondary schools created in Italy by the Giovanni Gentile reform of 1923, Ascoli does not limit himself to dryly following the guidelines for university courses, but attempts to "discern in the admirable edifice of concepts and results that small bit that is essential in the very first study from what would otherwise be destined to remain a lifeless and inexpressive kwowledge; to present to young people a simple and harmonic organism of fundamental ideas that contribute effectively towards their intellectual formation" (Prefazione, V). This is the reason why he introduces the concept of the integral before that of the derivative, because it is simpler and more intuitive when the point of departure is the calculation of areas. When Ascoli moved from teaching in secondary schools to teaching at university, he applied himself with true dedication to the formation and development of teachers of secondary schools, not only by actively participating in the Associazione Mathesis, but also by ideating and creating a 'course of mathematical culture'. This was a post-degree professional development course aimed at new graduates who had to participate in the competitions for teaching positions in secondary schools. The course lasted three hours a week and comprised lessons in mathematics aimed at completing or refreshing the basic preparation and to accustoming future teachers to look at elementary mathematics from an advanced standpoint, as well as to take into consideration the history of mathematics; these lessons were flanked by exercises and discussion on the topics that would be addressed in the competitions. These activities of Ascoli came together in the book Lezioni di Matematiche complementari (1952, 2nd ed. 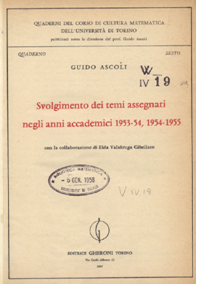 1954) and in the volumes on the topics assigned in the course on mathematical culture for new graduates, Svolgimento dei temi assegnati nel corso di cultura matematica dell'Università di Torino (1953, 1955, 1957). In the Lezioni di Matematiche complementari he examines three topics: elements of number theory, integral rational functions, and algebraic equations. Their treatment pays particular attention to those aspects that might be useful in the practice of teaching, in the attempt to mend the break between the knowledge of elementary and more advanced mathematics. In addition to this last aspect, the methodological assumptions that animate his teaching are: the importance of offering young people "a wide choice of complementary subjects, venturing as far as the field of physics and beyond, so as to encourage the collaboration between mathematicians and other specialists" (ASCOLI 1955b, 76-77), and the attention to questions regarding the foundations, instilling respect not so much for rigour in the details, but above all for rigour in the logical ordering of the theories (ASCOLI 1913, VI). VIRGOPIA N. 1962, Ascoli Guido, in Dizionario biografico degli Italiani, Roma, Istituto della Enciclopedia Italiana 4, 384-386. ASCOLI G. 1910a, Note sulla teoria dei poliedri, Periodico di matematica. Supplemento, 13, 51-53. ASCOLI G. 1910b, Una questione algebrico-geometrica, Bollettino di matematica, 11, 11. ASCOLI G. 1913, Complementi di Geometria per gli Istituti Tecnici, Livorno, Giusti. ASCOLI G. 1914, Note di Geometria elementare, Periodico di matematica. Supplemento, 17, 5-6. ASCOLI G. 1915, Sul metodo differenziale per la ricerca dei massimi e minimi nell'insegnamento medio, Periodico di matematica, 30, 142-144. ASCOLI G. 1924, Lezioni elementari di analisi matematica ad uso dei licei scientifici, Torino, G. Petrini.